Requirements: A laptop with a text editor, PHP and a Web server installed. How much effort is required to adapt your code to your customers' change requests? Is it easy, or is it cumbersome and tedious? And what about your code's complexity and readability? Is everything crystal clear, or are there parts of the code base that nobody dares to touch anymore? How often do you need to fix bugs after a release? And, by the way, how easy is it to roll a new release anyway? 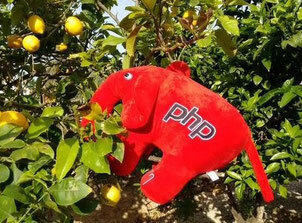 If any of these questions made you blush with embarrassment, it's high time that you attend PHP Days in Manchester! Join the three thephp.cc trainers and learn how to turn bad code into good code and become better, more professional PHP developers. No question goes unanswered when the trainers pull up an editor and explain best practices as they code a sample application live. They touch upon all aspects of the application lifecycle of PHP-based projects, and discuss methods and tools that every PHP developer should use. PHP Days in Manchester is a one-of-a-kind classroom training experience where all three trainers will be present at all times. Buy tickets for the PHPucEU and PHP Days in Manchester.